BEAUTY AND COSMETICS USE: Epsom Salt also works great as a beauty product when used correctly. You can utilise it’s properties to make your own fantastic homemade products such as; Salt Scrubs, as a Facial Wash, a Hair Volumizer (when mixed with your everyday conditioner), an exfoliating agent and more! 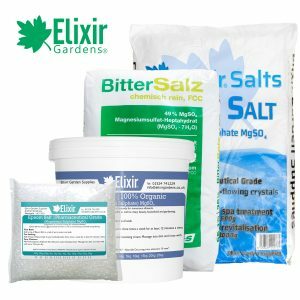 GARDEN AND PLANT USAGE: You may be surprised to know our Epsom Salt has practical uses in the garden too! Tomatoes, for instance, need lots of Magnesium to grow to their full potential. Epsom Salt can be a great, cost-effective way of getting this essential nutrient into your crop. 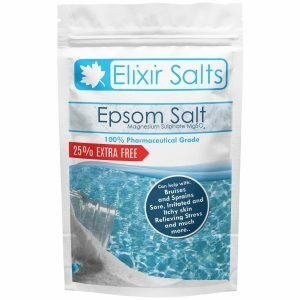 FOR ACHES AND MUSCULAR PAIN: Epsom Salt (when absorbed through the skin) works to relieve muscle tension, pain, and inflammation in joints Tired and sore feet will also benefit from the therapeutic warmth of an Epsom salt soak. Aside from these benefits, Magnesium sulphate has several other positive effects to note. It aids in many enzymatic functions, helps to regulate fluid retention in cells, and facilitates the body’s use of calcium to transmit chemical signals throughout the nervous system. BEFORE YOU APPLY: Consult professional advice if being used as a remedy for skin disorders or medical conditions. Numerous studies have shown that Epsom Salt has many profound benefits ranging from the garden to your own personal health. Epsom Salt is made up of naturally occurring minerals magnesium and sulphate. A lack of magnesium can lead to high blood pressure, hyperactivity, heart problems and other health issues. 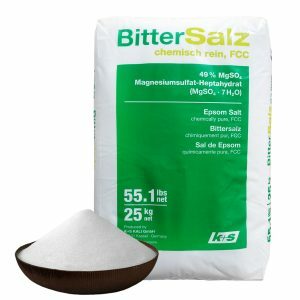 Sulphate is essential for many biological processes within the body such as flushing toxins and helping to form proteins. Epsom Salt can be used for the treatment of mosquito bites, bee stings, mild sunburn and poison ivy. 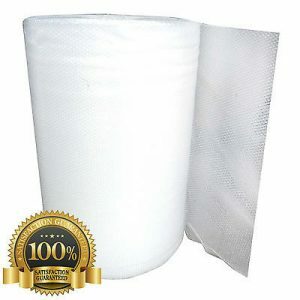 Make compresses by soaking a cotton washcloth in cold water that has been mixed with Epsom salt (2 tablespoons per cup), then apply to the skin. Adding two cups of Epsom Salt to a standard sized bath tub and then soaking for a minimum of 12 minutes, 3 times a week can help alleviate sore muscles. As well as soaking in a bath a washcloth soaked in cold water with 2 teaspoons of Epsom Salt and then applied to the affected area can achieve similar results. You can also soak your feet in a mixture of half cup Epsom Salt with warm soapy water. You can then also remove nail polish, cut and file nails and calluses, in addition to this it will soften the skin. Epsom Salt is a pure mineral compound (Magnesium Sulphate) in crystal form that exfoliates skin and smooth’s rough patches. As well as the health benefits of soaking in a Epsom Salt bath you can simply use it as relaxing agent, when mixed with your favourite scented oil you can get the best of both worlds. After showering massage handfuls of Epsom Salt into your wet skin to exfoliate the body. 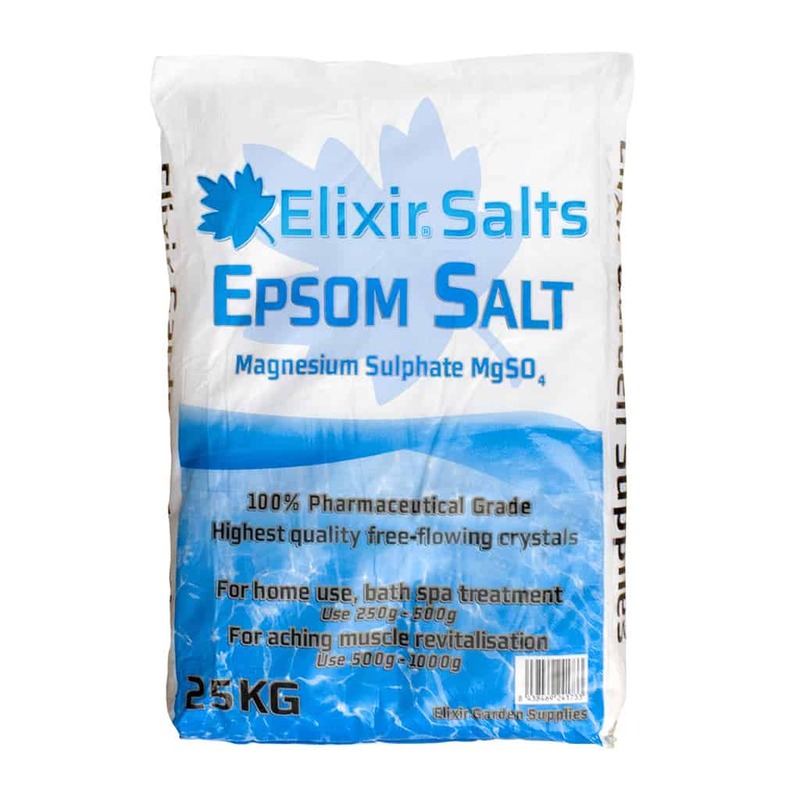 Studies have shown that magnesium a naturally occurring mineral within Epsom Salt helps plants grow greener with higher yields and more blooms. 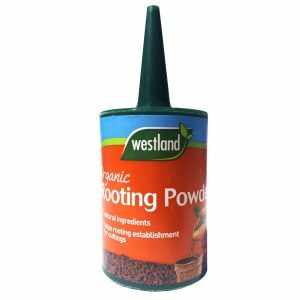 Magnesium helps seeds to germinate, increases chlorophyll production and improves phosphorus and nitrogen uptake. Household plants will benefit from a monthly feed of 2 teaspoons of Epsom salt per gallon of water. Peppers will benefit from a tablespoon of Epsom salt per gallon if sprayed at bloom time and then again ten days later. Tomatoes can be feed with Epsom Salt at the rate of one tablespoon per foot of the plant height per plant. Epsom Salt can be used in many ways to create decorations throughout the home. Epsom Salt can add texture to many different decorative items, in addition to the texture it can also add colour which can be sealed in with additional products. You can create anything from Luminaries to greetings cards.